Earth Day 2019 is officially on April 22nd and if you are celebrating this event in your classroom, encourage your students to participate in a district-wide Earth Day Flipgrid Challenge as part of the celebration. Here is the link, flipgrid.com/1d3da4e5. They can participate for HW, choice time, or as an extension to an already planned Earth Day activity. ​The prompt challenges students to share, in less than a minute, what they are doing to make a difference and protect our planet. Students should share their first name only, the name of their school and their idea. Here is a link to a student How-to card. The Flipgrid will be moderated. All videos will be approved first, before going live. Students can participate, but teachers need to log in to their Google Account for students. Students can log in with their own Google accounts. 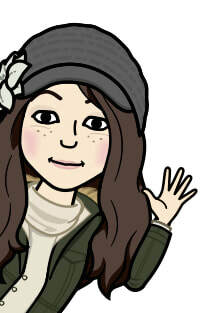 Note: Participating in this Flipgrid helps students use digital tools to learn ideas and multiple perspectives of learners beyond their classroom, which covers Standard 7 of the ISTE Standards for Students. Skype in the Classroom, celebrates Earth Day throughout the month of April and is inviting educators from around the world to connect their students globally to make impact locally and learn about conservation, climate change and ecology from experts. Connect your classroom to a California State Park. PORTS brings California State Parks to classrooms across the world, through amazing distance learning for kids. Check out whale bones, forest ecology, and even hop onto a kayak to explore the local kelp forests and harbor seals! WOW! Search for virtual field trips here. This 30 minute, on demand broadcast, is a MUST SEE for all classrooms and definitely for 5th grade classrooms studying fantasy fiction writing! Go behind the scenes to learn how stories come alive in this free 30-minute classroom broadcast with Cressida Cowell, the author & illustrator of the How to Train Your Dragon series. Cressida will inspire students to tap into their boundless imagination and will show how using character development and details in stories make them more believable and fun! You do not need any special equipment to view the broadcast. Just your projector and speakers. For more information and resources to prepare your class & extension activities, go here. ​Register your class for the free Skype in the Classroom broadcast and live chat with Dr. Jane Goodall in early April to inspire students ahead of Earth Day! Inspire the next generation of conservationists to love and protect our planet in this free broadcast and live chat with the world- renowned primatologist and environmentalist Dr. Jane Goodall. and will be followed each time with a live Q&A chat with Dr. Goodall and the Jane Goodall Institute Roots & Shoots team. CLICK HERE to register your class for FREE and learn more details about the broadcast, access teaching resources, including materials to prepare your students, as well as extension activities. Just learned on Twitter about a collaborative online whiteboard called Bitpaper.io. Create a 'paper' and then share your paper URL with a friend. Sketch and create notes collaboratively, in real-time. Imagine students being able to sync their online whiteboard with a buddy & do step-by-step problem solving together. Some great teamwork and collaborations in the making! Challenge: Have students try collaborating with peers beyond their classroom! Follow #bitpaper on Twitter for ideas. Lots of educators sharing how they are using it in their classrooms. ​Try #appsmashing with Bitpaper, Pear Deck and Google Slides!! ​Whaaat!?! Soo cool. Click here to get the scoop on this! Watch video tutorial below for a quick intro of Bitpaper. Length of video: 1:23. Go to: explore.org/livecams. These animal cams are AMAZING!! There are tons of different cams to choose from; penguins, eagles, seals, elephants, honey bees, polar bears, sharks, other ocean life, and on and on. Observe animals in their natural environment, while others are observed in aquariums & zoos. Once you are on the website, look all the way to the top right, and click "ALL LIVE CAMS" to browse through their gallery. Some cams have sound and some have more than one stream, so you can view the animals from different angles. At the bottom of each, they give information about the location of the camera, best viewing times and general information about the animals. Your students will LOVE these! 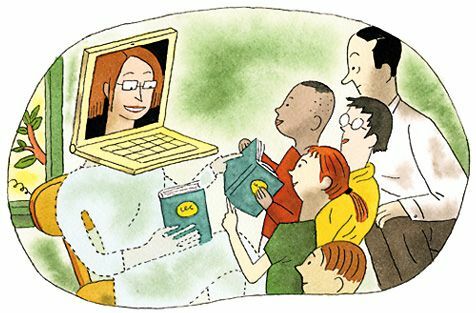 Invite an Author to your Classroom via Skype! Microsoft "Skype in the Classroom" tools help to connect classrooms to participating authors around the globe. With Read Across America and World Read Aloud Day coming up, this could be a great time to connect LIVE with an author without even leaving your classroom! There are over 60 pre-made lessons and hundreds of authors to choose from for PreK-5. All of the authors who participate agreed to make these connections for free, and each lesson includes a variety of unique learning objectives, standards and a very easy, built-in process to contact and communicate with the author directly. Go to smore.com/nxv0z for all of the details! 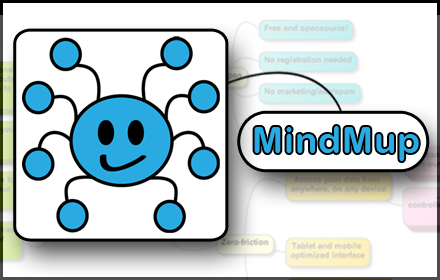 Check out MindMup 2.0 - FREE tool for brainstorming and creating mind maps. Because it is fully integrated with Google, students can create & store unlimited maps directly in Google Drive, plus they can share & collaborate with their peers. Students can download their mind map into a outline in Google Docs, so that they can continue to edit their writing, or import their maps into docs, slides, etc. It is simple, clean & easy to use. Yet another AWESOME feature in PADLET!! ​Padlet is essentially a digital bulletin board where you can post, bookmark or pin digital content, but it can also serve as a social learning community where students can create & collaborate using multiple medias, such as text, images, photos, video, audio and drawing. ​This is NEWSworthy!! One of the newest features they have added is the ability to screen record! ​You have to install the Padlet Mini extension first. SB teachers.. you can just go to the Chrome Web Store and add it to your account. We have already added it to our students' accounts, so they are good to go! ​Here's how . . .
1. Within a Padlet post, click the 3 dots on lower right. 2. Scroll down and select Screen. You can record for up to 5 minutes. Recording will stop automatically at 5 minutes. You can record with or without audio. ​For more details about Padlet, plus ideas for using Padlet in the classroom, go here.